Home Tags Posts tagged with "hirohito"
In a rare TV address to Japan, Emperor Akihito has strongly indicated he wants to step down, saying he fears his age will make it difficult to fulfill his duties. His comments came in only his second-ever TV address to the public. Emperor Akihito, 82, did not explicitly say he wanted to abdicate as it could be interpreted as political interference. Japan’s Prime Minister Shinzo Abe said the government would take the remarks “seriously” and discuss what could be done. “Upon reflecting how he handles his official duty and so on, his age and the current situation of how he works, I do respect the heavy responsibility the emperor must be feeling and I believe we need to think hard about what we can do,” he said. Emperor Akihito, who has had heart surgery and was treated for prostate cancer, has been on the throne in Japan since the death of his father, Hirohito, in 1989. In his 10-minute pre-recorded message, Akihito said he had “started to reflect” on his years as emperor, and contemplate his position in the years to come: “While, being in the position of the emperor, I must refrain from making any specific comments on the existing imperial system, I would like to tell you what I, as an individual, have been thinking about. Ever since my accession to the throne, I have carried out the acts of the emperor in matters of state, and at the same time I have spent my days searching for and contemplating on what is the desirable role of the emperor, who is designated to be the symbol of the state by the constitution of Japan. As one who has inherited a long tradition, I have always felt a deep sense of responsibility to protect this tradition. If Emperor Akihito were to abdicate, it would be the first time a Japanese emperor has stepped down since Emperor Kokaku in 1817. Japan’s right wing nationalists who support Shinzo Abe’s government do not want any change to the current law, which insists emperors must serve until they die. Emperor Akihito said he hoped the duties of the emperor as a symbol of the state could continue steadily without any breaks. He said one possibility when an emperor could not fulfill his duties because of age or illness was that a regency could be established. Emperor Akihito’s eldest son, 56-year-old Crown Prince Naruhito is first in line to the Chrysanthemum throne, followed by his younger brother Prince Akishino. Women are not allowed to inherit the throne and so Princess Aiko, the daughter of Crown Prince Naruhito, cannot succeed her father. Abdication is not mentioned under Japan’s existing laws, so they would need to be changed for the emperor to be able to stand down. The changes will also have to be approved by parliament. The emperor is constitutionally not allowed to make any political statements, and the desire to abdicate could be seen as being political. 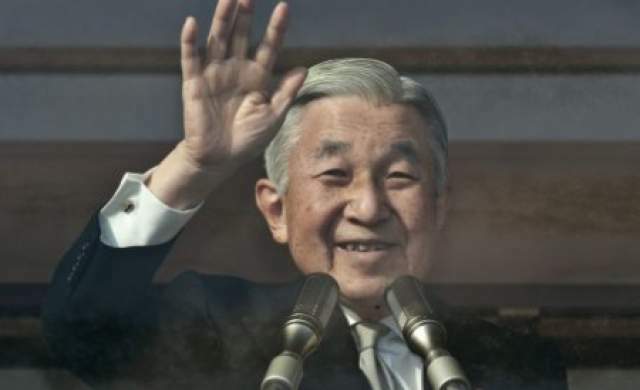 The public seems to support Akihito’s desire to abdicate, with the younger generation in particular saying he should be allowed to relax in his old age. A recent survey by the Kyodo news agency found more than 85% saying abdication should be legalized. The move is opposed by some more conservative sections of society. A debate about whether or not a woman would be able to ascend the throne was discussed in 2006 when the emperor had no grandsons, but was postponed after a boy was born to a family. Prince Akishino also called for a debate on whether a retirement age should be set for the Emperor in 2011, but it did not result in a law change. Under Japan’s constitution, the emperor’s role is defined as “symbol of the state”. He has no political powers and has several official duties, such as greeting foreign dignitaries, holding receptions and handing out awards. Japan’s monarchy is entwined in the Shinto religion and the emperor still performs religious ceremonies.